Sara Black King, 91, widow Marvin “Jack” King formerly of Belton, died Sunday, June 17, 2018 at NHC Healthcare. Born in Greenville County, she was the daughter of the late Lawrence and Annie Bell Pearson Black and was the last surviving member of her family. 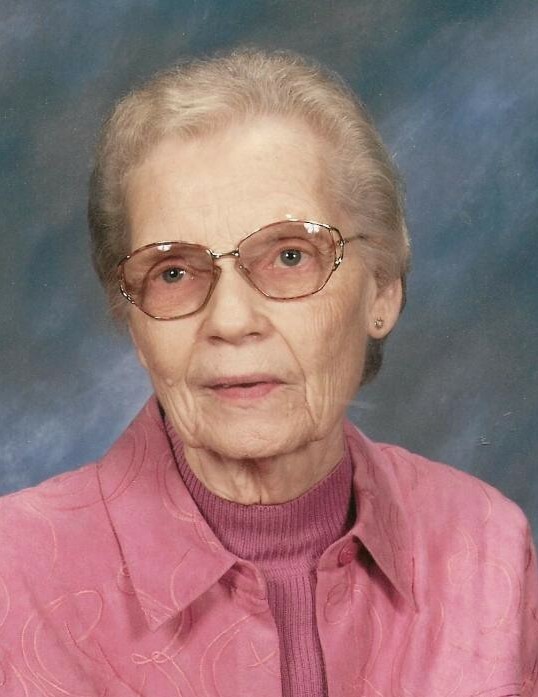 She was a member of Eastview Baptist Church and the Sunshine Bible Class. Surviving are: daughter, Sandy King (Eddie) of Belton; granddaughters, Kristy Ann Southerland (Scott) and Jennifer Smith (Chad) all of Belton; great grandchildren, Dylan Southerland, Samantha and Grady Smith. She was preceded in death by her sister, Carrie Bell Turner. Service will be held 1pm Wednesday at Cox Funeral Home Chapel with Dr. Kurt Mitchell and Rev. Randy Blank officiating. Burial will follow at Garden of Memories. The family will receive friends prior to the service Wednesday from 11:15am until 12:45pm at the funeral home. Flowers are accepted or memorials may be made to Eastview Baptist Church. The family will be at the home of her daughter, Sandy King at 807 Blake Dairy Rd., Belton, SC 29627.